Sausages usually don’t need to much messing around with by way of seasoning. A sprinkling of fresh herbs, a dash of mustard, perhaps? You don’t need to go all O.T.T to make them so damn tasty. But some guy went where no man has gone before and decided to season it with, wait for it… herbal viagra. 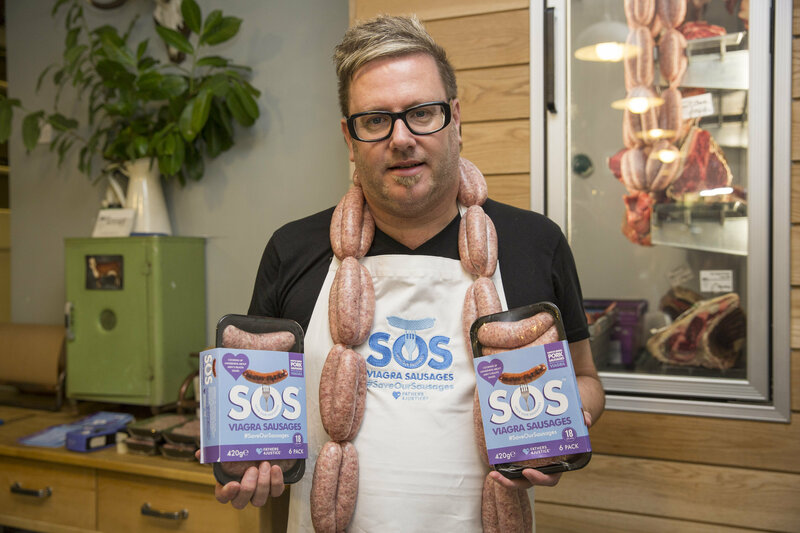 That’s right, introducing SOS Viagra sausages. As well as containing native breed pork, they include L’Arginine, Horny Goat Weed and Korean, Red Chinese & Siberian Ginseng- which are all believed to help with erectile dysfunction. These natural Viagra sausages went on sale yesterday and trust us, it’s all for a good cause. Founder of Fathers4Justice Matt O’ Connor launched the product as part of a men’s health campaign, to raise awareness of serious health issues affecting men that don’t usually get talked about. This includes the likes of depression, suicide and testicular cancer. 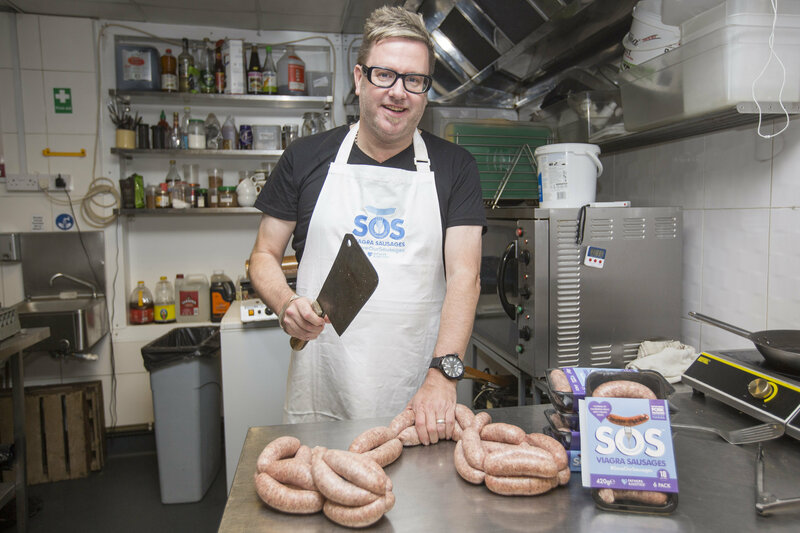 Matt created the SOS sausages with British butchers The Butchery, based in Forest Hill, London and hopes the sausages will be seen as a humorous way to address incredibly serious issues. As a father of three boys I am deeply concerned about the public health emergency facing men. I hope our sausages will give people food for thought and help men break the wall of silence around these issues. All proceeds raised from the sausages will go to men’s health organisations, including veterans’ mental health charity Combat Stress, male depression charity Andy’s Man Club and testicular cancer charity Check ‘Em Lads. Packs of six sausages are available from The Butchery in Forest Hill, London, for £4.99.